Since I felt much better over the weekend I went for a long training ride yesterday. It was a fine fall day, the red leaves fluttering around in gentle breezes, the sun warming my back, my sights set on the beautiful Alps. I love mountains so much, I couldn’t imagine not living near them anymore. When I spent a few months in Boulder, Colorado, I took up hiking and just loved seeing the Flatirons from any point in town. Nowadays I know that Boulder is a favorite spot for many athletes’ summer training, but back then, I had no idea that I could have been sipping my OZO latte next to the likes of Scott Jurek. Anyway, it was a good day to get out and about and cycle from Munich to Rosenheim, about 85km and 600 meters of elevation gain. 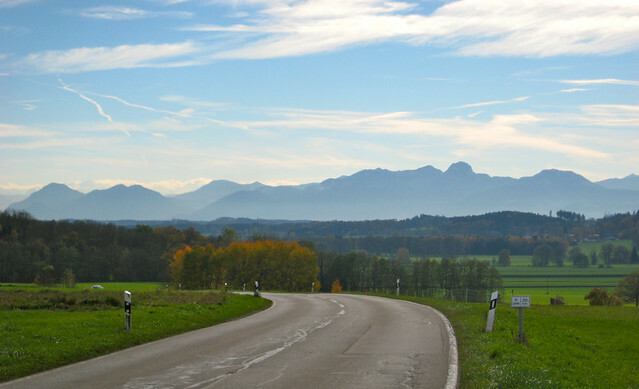 I’m not particularly fond of cycling hills, but it’s not like I can avoid them here in Bavaria – or in the world. 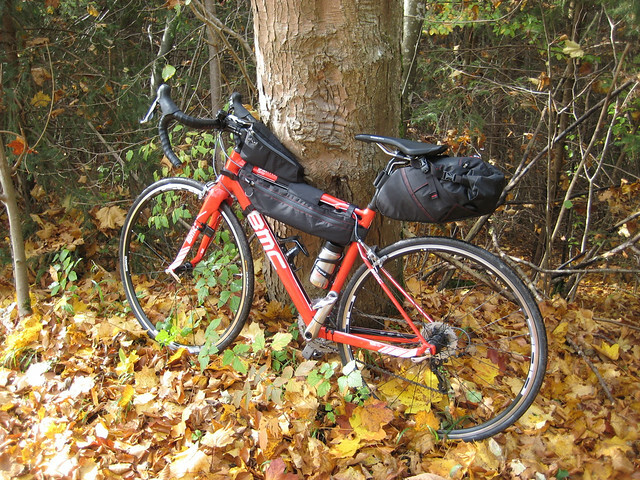 Tried out my new bag setup, too – works like a charm and fits my bike perfectly! The Ortho gave me the “almost-clear”, there’s some upset in the AC joint, pointing to a partial tear of one of the ligaments, but it is stable for now and I’m allowed to cycle as much as I want, as long as it doesn’t get worse. No lifting above shoulder height though, so I had to delegate all of the stable work to colleagues. I get to do some physiotherapy for a few weeks and then I’ll meet back with the doctor to see whether it has improved. Unfortunately, the pain is said to last for at least another four to six weeks, maybe even more, meaning sleeping on my side is still out of the question, as is putting ANYTHING on the shoulder. Oh well. I can live with that, it just makes everyday life a tiny bit harder. Today, the rain came back and brought some wind with it. Just the right weather for a long ride – on horseback, mind you. Same thing tomorrow, but I’m sure this week still has some great cycling days in store.